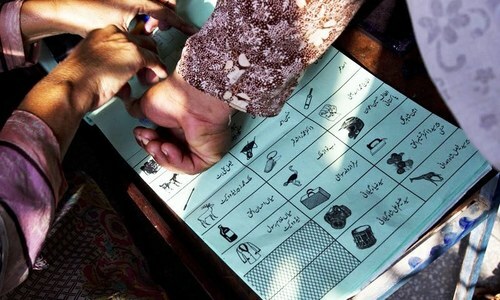 KARACHI: An overwhelming number of Karachi’s Bengali community remains out of the finalised electoral rolls for the general elections because they do not possess a CNIC, a prerequisite for being on the electoral rolls as per Elections Act 2017. 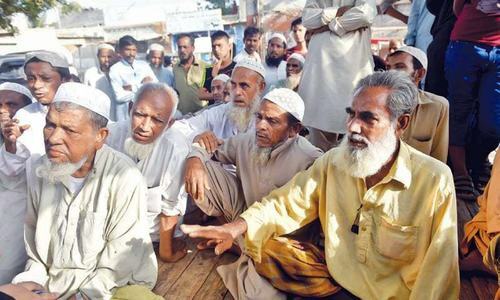 The community, whose strength in Karachi is estimated to be around two million, has a sizable number of people who either do not possess a government-issued ID or their CNICs have been revoked on suspicion of being illegal immigrants from Bangladesh. Social and political activists belonging to the Bengali community of Karachi estimate this number to be around 1.2m. Three sisters — Ameena, Rukhsana, and Zareena — are among those of the Bengali community who remain without a CNIC despite their claimed eligibility. 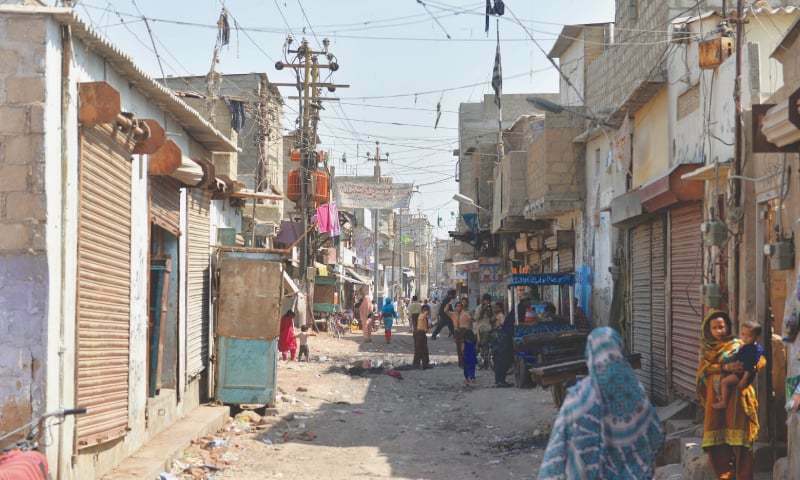 Residents of Zaman Town in Korangi, the sisters say that they have not been issued CNICs despite filing applications several times at the local Nadra centre in Korangi-4. “The officers there tell us that Bengalis cannot get a CNIC. They ask us to prove that we were born here, and that our parents had been living in what was then West Pakistan before 1971,” says Zareena, who then shows their father’s employment cards and documents which demonstrate that the family has been living and working in Karachi prior to Dec 16, 1971. “We have provided all these documents but our identity card requests remain at a standstill,” she adds. The Pakistan Citizenship Act 1951 stipulates that people who were residing in territories that now comprise Pakistan prior to Dec 16, 1971, would continue to be citizens of Pakistan, and their children would be considered citizens of Pakistan by virtue of their descent. Also, Nadra’s own guidelines on the process of verifying and revoking CNICs state that the authority would accept a person to be a Pakistani citizen if the person can prove he/she has been residing in Pakistan prior to 1978 — providing an approximately seven-year extension to the date set in the citizenship act. Apparently, the cut-off year is kept at 1978 to differentiate between Bengalis who are legally entitled to residence in Pakistan and those who emigrated from Bangladesh in search of a livelihood. Social activists, however, estimate that over the years, economic migrants have mostly moved out because it is no longer profitable to work and earn in Pakistan due to the rupee being weaker than the Bangladeshi taka. Many of the Bengali-speaking residents of Karachi who have been unable to obtain CNICs possess identification and other kinds of documents issued by Nadra and different wings of the government, proving that they qualify for a CNIC. Baqir Hussain is one such person. A resident of Machhar Colony in Karachi, Baqir was issued a CNIC by Nadra in 2002. Prior to that, he had a B-Form of his own. He subsequently married, was issued a nikah certificate by the government of Sindh and his children were issued B-Forms by Nadra. In 2013, however, his CNIC was blocked by Nadra on pretext of being an alien. Since then, he has not been able to get his name removed from the so-called ‘foreigners’ list. He questions the entire episode which has stripped him of his nationality. “If I were an alien, and now I have been found to have illegally arrived in Pakistan, how and why was I issued a CNIC earlier?” he says, adding that he has legal proofs of being born in Pakistan but Nadra officials do not pay heed to it. Baqir, who now holds an alien registration card issued by the National Aliens Registration Authority (Nara, now merged with Nadra) lists the consequences that follow after revocation of a CNIC. “I won’t be able to vote in the elections for my favourite political party because I don’t have a CNIC. My children will be deprived of their right to education because they also will not be classified as Pakistani citizens now,” he complains. Bengali community activists allege that Baqir’s case is not isolated, saying that scores of people from their community have had their CNICs revoked and were ‘forcefully issued’ alien registration cards classifying them as non-citizens. A senior official of the now-defunct Nara, who is presently associated with Nadra, explains the reasoning behind it. “Our body was formed with the purpose of registering aliens, and we did just that. There might have been isolated incidents of misjudgements, but Nadra verification boards are there for settling these disputed claims,” he says while requesting anonymity. 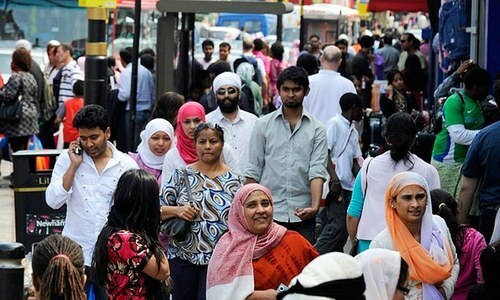 Shaikh Mohammad Siraj, a community advocate and the chairman of the Action Committee for Pakistani Bengalis, believes that the citizenship issues his community faces can be resolved through legislation. In July 1999, a special committee was formed in the National Assembly to probe into allegations of harassment and discrimination faced by Bengali citizens of Pakistan. In February 2018, Siraj along with other community leaders met with former federal minister for law and justice Bashir Mehmood Virk and former MNA Qaisar Ahmed Shaikh, both belonging to the PML-N, who assured the community that they would do their best to resolve the matter. No progress was however seen on the matter. Muttahida Qaumi Movement-Pakistan’s spokesman Aminul Haq says the parliament should take necessary steps to mainstream the Bengali community. “Our party supports the idea of granting them citizenship,” he says. Jamaat-i-Islami’s Karachi chief Hafiz Naeemur Rahman echoes his views. “Successive governments and all major political parties have not paid attention to the Bengali community’s problem. The citizenship act should be amended as it is very hard for applicants to produce the proofs dating back to 1971 or 1978,” he says. However Ayaz Latif Palijo, president of the Qaumi Awami Tehreek (QAT), says that the government, while deciding the citizenship cases of a community or a group of people, must keep in view the Liaquat-Nehru Pact of 1950 which provided for the legal movement of migrants between India and Pakistan only up to 1956. “There may be legitimate cases of Bengalis who were residing in Pakistan before that, but we want the government to make sure that no one is granted citizenship in violation of the 1950 pact,” he says, adding that arbitrary time limits like that of 1978 were unacceptable and have no legal basis, whereas application of Pakistan Citizenship Act 1951 should also be done in accordance with the Liaquat-Nehru Pact. He is not alone in having these views. On May 16, the Sindh Action Committee, an alliance of 10 nationalist parties, staged a protest demonstration at the Karachi Press Club, calling for stopping the issuance of CNICs to ‘foreigners’. After living so many years in Pakistan, Bengali migrants do deserve citizenship. This is a humanitarian issue, for decades these Bengalis living peacefully at shabby huts and house,they are poor and works in factories or do simple labor jobs. The CNIC is their constitutional right. Some NGO or philanthropist may please hire a good lawyer to file constitutional petition, and expect some way out. Love you Pakistanis, Pakistani Bengali are Pakistanis and our brothers. CNIC needs to be issued to our Pakistani brothers as soon as possible. Our heroes these Pak Bengali family. Love you so much. The government and the people should treat our Bengali brothers and sisters honourably and fairly like they would any Sindhi or Punjabi. Give them nationality without hesitation. Do not leave people in a limbo. Don't call them Bengali - Pakistanis, they are fully Pakistanis and should be treated with full citizenship rights so they can vote freely and be treated with respect. Lawmakers, be fair and generous to these loyalist to Pakistan. FAST! The treatment meted out to Bengalis and non-Bengalis who were born in different cities of the now Bangladesh by the different agencies like Nadra are nothing but an attempt to harass the people who have to seek some sort of assistance from the government institutions. It is unfortunate that any government since the separation of East Pakistan has been unable to find a solution to these people's problems although many parties have promised to resolve this issue at election times. There should be a clear cut policy for granting the citizenship to those persons who were born there and came to Pakistan somehow for whatever reasons. Their decision for retaining the Pakistani citizenship shows their loyalty to this country and who are we to question that decision? Give them CNIC they deserve it. they are Bengali speaking pakistani who choose to stay in pak. Those who fulfill the legal requirements should be given the nationality without hesitation. They should be issued national cards without delay they are our brothers and sisters and citizens of Pakistan.! Your report has grossly understated the extent of the problem and NARA and Nadra both have destroyed lives of hundreds of thousands of otherwise genuine and patriotic citizens of the country. NADRA has shamelessly been an instrument of the Sindhi nationalists effectively depriving folks of their most prized possession their citizenship without following the process prescribed in Pakistan Citizenship Act and Regulations (1951, 1952). Repeated amendments of the citizenship via executive order have been carried with out their ratification by the national assembly. Denial of CNIC is effective denial of nationality (a violation of UDHR as well). It is not just the Bengali speaking effected by the parochial actions of Nadra, it includes Burmese, Afghans, Biharis and dozens of other communities. Close to 250,000 people are effected. Denial of CNIC means these families can not legally work, educate their children, travel, buy property, obtain passport with severe impact on their lives. These people have been living in Pakistan for a long time, with the vast majority them being born in Pakistan. To keep such a sizeable populace in purgatory is a poor policy. The country will reap enhanced demographic dividends if these people are provided citizenship. 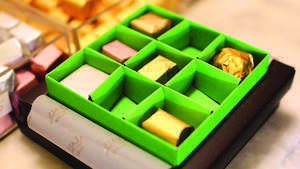 Resourceful as they are, such a move will unleash their entrepreneurship benefiting the economy. Further they will be a cultural and commercial bridge to economically resurgent Bangladesh and perhaps even India given that some have roots in India's West Bengal. And last but not least, the overwhelming public opinion is to have these people brought under mainstream Pakistani society. So the government should stop dilly-dallying and give them identity papers. The truth is Bengalis are the real Pakistani. They were in majority in one Pakistan. The establishment comprised of civil servants, feudal, special interest and so called british educated civilian and security leaders had break the country and since then they are in power trying to do same to rest of Pakistan. How u expecting them to be fair. We need to cancel the citizenship of the ruling class and award it all Bengalis. @Ric Every government that is formed has its own priorities to target and achieve. They are least bothered about the problems being faced by the people at large except their own kith and kin, for which you will find them calling any one under them to get their task done in no time. Besides, they have provided employments to their relatives in the various government departments who are set free to loot the public. They are in NADRA and NARA and in any other department just to make money, which became their birthright after acquiring that position. The tradition set for them is to create hurdles in the ways of people who would have to turn to them for resolving their problems. Rest is known to every one on how to get your work done.